Wow! To read cat food reviews in preparation of this article, you’d think the outcome involved Freedom of Religion or a new 90% tax rate! The final determination? Americans are nutty about their pets. Tastes Great vs. Better Nutrition. Ho, hum . . . I’ll keep buying the food my “porch cat” loves. A couple decades ago a different porch cat lived here. I’d lay out three or four types of food at a time, for variety. The cat would eat them all, choosing one for the whole meal. Patterns of brand preference developed, were observed, recorded, and added to a statistical database. The outcome? Two cats later, the results are in. Cats who eat dry food prefer Purina and Friskies. The foo-foo “healthy” stuff? Sorry, that doesn’t work. The cat does not read labels. Rule of thumb: If it smells like fish food, the cat will not eat it. Would you? 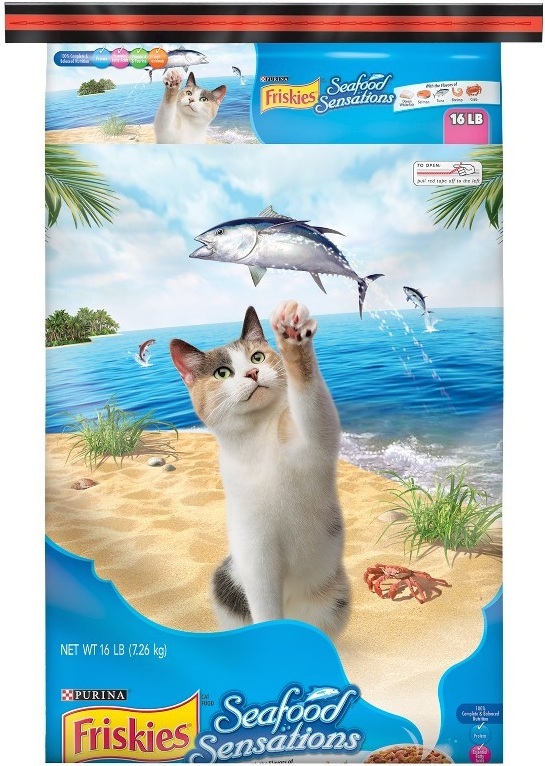 This entry was posted in Product Review and tagged cat food, Friskies Seafood Sensations, If it smells like fish food the cat will not eat it, jim sergovic cat photographer, popular american catfood, porch cat, quality american catfood, seafood sensations. Great news! 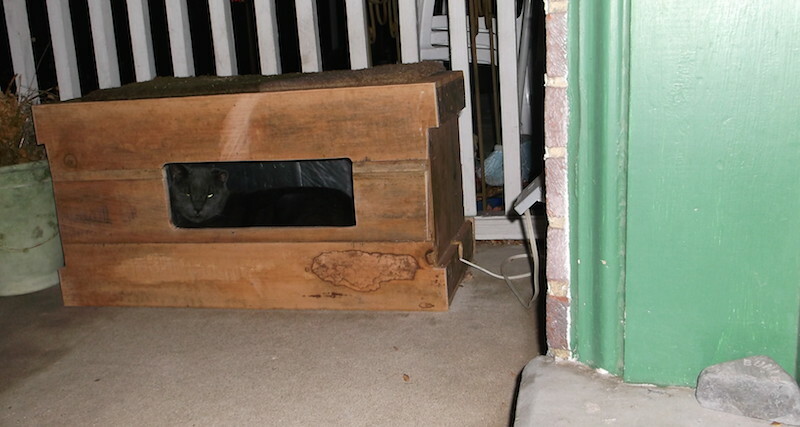 PorchCat has received upgrades to his PorchCrate! New front, better wind screening, now fully insulated!